Symptoms: Bluescreen or Stop Error 0x0000001E caused by nvlddmkm.sys, or often get a message: “display driver nvlddmkm.sys stopped responding and has successfully recovered“. This is a well-known fix for the issue. During the installation of most graphic drivers in Windows 8/7/8.1/Vista, an old version of nvlddmkm.sys is copied into C:\Windows\System32\Drivers and not the current one in the install. As a result the new drivers are attempting to access the file dated 2006 instead of 2010. We make no guarantee that this will work for you. But according to many users’ and our reports, this solution did fix it. Step 1: Download and install the latest graphic driver. 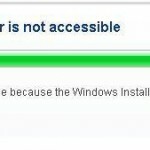 Step 2: Then go to C:\Windows\System32\Drivers and rename nvlddmkm.sys to nvlddmkm.sys.old. Step 3: Go to nvidia directory (usually in C:\Nvidia or C:\drvvganVidia) and find the file nvlddmkm.sy_. Step 4: Copy the file to your Desktop directory. Step 5: Open cmd.exe by going to Start -> type cmd in the search box and hit enter. Step 6: Change the directory to Desktop by typing chdir Desktop. 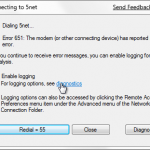 nvlddmkm Stopped Responding – Step 9: Restart your computer and the problem should be resolved. You will probably realize that any uninstallation and reinstallation of nvidia drivers will not remove the old nvlddmkm.sys file and will not overwrite it with the latest version. You will have to do it manually. Nobody knows why it wouldn’t get overwritten even with the run as administrator privileged. The registry is the lifeblood of your system. It is a single place for keeping such information as what hardware is attached, what system options have been selected, how computer memory is set up, and what application programs are to be present when the operating system is started. 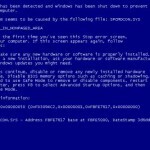 Very Often when something goes wrong with the registry, it can cause major problems including the deadly BSOD problem. 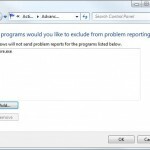 Unfortunately, Windows doesn’t have any built-in mechanism to fix corrupted registry errors. You’ll need to clean up your registry problems with a Registry Cleaner. Should you have any question or idea about nvlddmkm.sys blue screen error, please leave us your opinions in the comment section below. Also please share your experiences in dealing this problem with us, including possible solutions. New findings can help others, or maybe we can help you if you tell us your problems.